Great flower gardens, an impressive fountain show and live performances of a classic theater piece all can be found at one location this weekend — Longwood Gardens (Route 1, Kennett Square, 610-388-1000, www.longwoodgardens.org). On June 8 and 9, Longwood is hosting a special live production by the Savoy Company. The Savoy Company, which is the oldest amateur theater company in the world, is dedicated solely to the production of the works of Gilbert and Sullivan. Twenty-five years ago, Iolanthe, a fairy, committed the capital offence of marrying a mortal. The Fairy Queen reduced her sentence to exile, on condition that she leave her husband and never see him again. Iolanthe’s son, Strephon, has grown up and is half fairy/half mortal. He loves Phyllis, who is a Ward of the Court of Chancery. The House of Lords have also fallen in love with her. The fairies take Strephon’s side, punishing the Lords by sending Strephon into Parliament and casting a spell to make them pass any bill that he wishes. Meanwhile, the Lord Chancellor decides he wants to marry Phyllis. 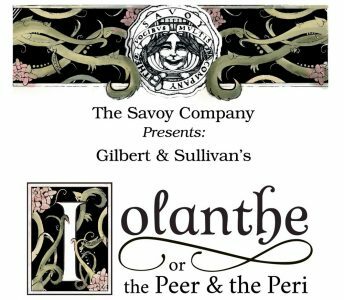 To prevent the Lord Chancellor from marrying Phyllis, Iolanthe reveals herself to him as his long dead wife. She is condemned to die by the Fairy Queen who subsequently discovers that all the fairies have fallen in love and married all the peers. She can’t execute everybody, so she gives up and marries a mortal herself. With everyone happily coupled, they all fly off to fairyland. Rain Dates are June 11 and 12. The Longwood Gardens Open Air Theater does not have a roof or any other cover. A performance will be cancelled based only upon the weather conditions at Longwood Gardens. The decision to cancel a performance can be made two hours prior to show time. If such a decision is made, information will be placed on The Savoy Company’s voicemail (215-735-7161) regarding alternate rain dates. If rain or lightning forces cancellation prior to the completion of Act I, the show will be rescheduled for the first available rain date. If inclement weather forces cancellation after Act I, the performance is considered complete, and the rain date will not be used. The performances at Longwood Gardens’ Open-Air Theatre begin at 8:30 p.m. each night. Tickets are $29, and the ticket price includes all day admission to Longwood Gardens. 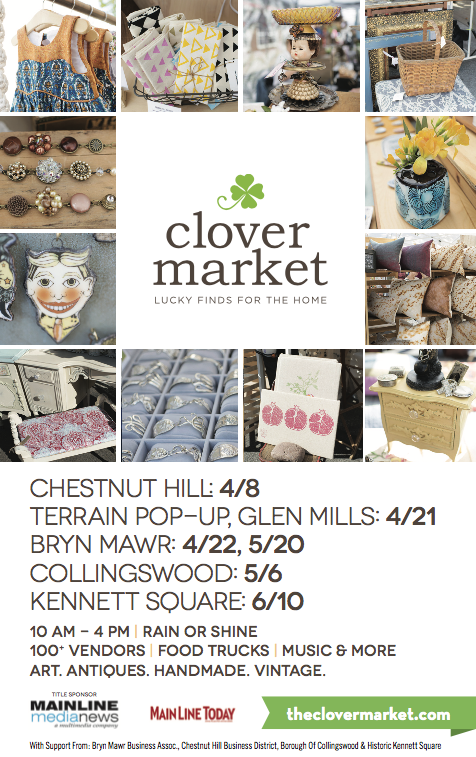 This weekend, it’s time for the annual staging on Clover Market in downtown Kennett Square (Genesis Parking Lot, Broad Street, Kennett Square, historickennettsquare.com) on June 10. 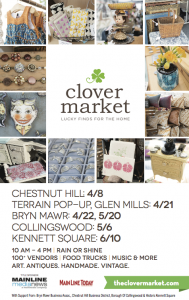 The well-attended spring ritual will feature a large number of vendors who will be setting up shop in downtown Kennett Square to sell handmade jewelry, vintage clothing, original art, intricate ceramics, high-quality antiques and more. The one-day-only event, which is free and open to the public, will be held on Sunday from 10 a.m.-4 p.m. A shuttle from State and Union down to Genesis will be provided and is also free. The event will also feature a variety of food trucks as well as live music performed by the local band Couple Days. On June 10, the Sixth Annual Beat Beethoven 5K Run/1Mile Walk at Anson B. Nixon Park (405 North Walnut Road, Kennett Square, kennettsymphony.org) will return as an event for both music lovers and road racers. This is a fun race for serious runners as well as beginners and families. The race will start with the downbeat of Beethoven’s 5th Symphony. 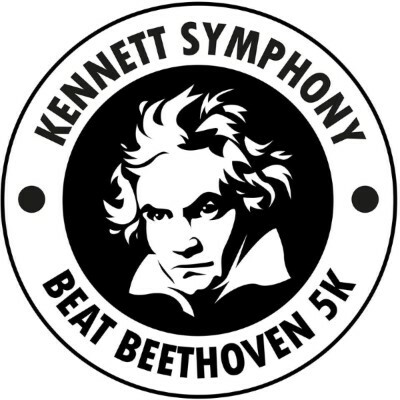 The goal for runners is to finish the 5K before the Symphony finishes playing the composition, which runs for more than 30 minutes. The 5K Run starts at 9 a.m. followed by the gun for the one-mile walk at 9:05 a.m. The five-kilometer course is a mix of trails and paved areas. The trails and paths wander along a stream and through picturesque shaded spots as well as some open areas. Overall the course elevation is easy-moderate with no severe incline areas. Water will be available on the course and following the race. There will be some snacks and refreshments provided by sponsors at the conclusion of the race. Hagley Museum and Library (200 Hagley Creek Road, Wilmington, Delaware, 302-658-2400, www.hagley.org), the site of the former DuPont Powder Mill, offers a wide array of special events for visitors every summer. On June 10, Hagley Museum will present “Patent Model Tour” at 11 a.m. in the Visitor Center. Visitors are invited to join one of the site’s guides for an introductory tour of Hagley’s patent model collection and learn about the history of these fascinating miniature models of invention and the patent process that was established in 1790. The tour begins at the Visitor Center, followed by a ride through the Powder Yards. Visitors will have a guided tour of our current patent model display. Afterward, visitors will return to the Powder Yards where they may tour the rest of the museum on their own. The patent model tour lasts for approximately 1.5 hours. Also, on June 10, the “Sunday Stroll” will be available all day. Guests can take a stroll at Hagley throughout the day on Sunday. Hagley’s property will be open to give visitors a unique opportunity to take a leisurely walk to the residence and garden, normally only accessible by bus. The three-mile roundtrip walk to the family home and back will be open for guests to wander and enjoy the beauty of the property. Admission to Hagley is $15 for adults, $11 for students and seniors, $6 for children (ages 6-14) and free for children (age 5 and under). “Bike & Hike & Brews at Hagley” will be offered on June 13 from 5-8 p.m.
Dogfish Head beer will be available for purchase every Wednesday evening this summer. At Bike & Hike & Brews, visitors can stroll, jog, or bike through areas of Hagley’s property normally closed to foot traffic. Visitors can bring a picnic or dine at the Belin House Organic Cafe. Woodside Farm Creamery ice cream will be available for purchase every Wednesday night. Admission is $3 per person, and free for members and children five and under. Participants are instructed to use Hagley’s main entrance off Route 141 in Wilmington, Delaware. To treat your taste buds, head south to Wilmington, Delaware. Every year, Wilmington is home to a pair of huge ethnic food festivals — the Greek Festival at the Holy Trinity Greek Orthodox Church (808 North Broom Street, Wilmington, 302-654-4446, www.holytrinitywilmington.org) and St. Anthony’s Italian Festival (St. Anthony of Padua Church, 901 North DuPont Street, Wilmington, Delaware, 302-421-2790, www.stanthonysfestival.com). The Greek festival, which is running through June 9 and is free, features all the traditional food favorites from that country including moussaka, pastitsio, tyropita, gyros, chicken and orzo, Greek salad and souvlaki as well as variety of sweet treats including baklava, katifi and an array of special cookies. Greek-American groups from the Delaware Valley will play popular Greek songs and standards. Other attractions at the popular annual festival are Greek grocery stores and sales booths with items such as Greek music, icons, custom-made jewelry, leather goods and fabric. There will also be a variety of children’s activities. The St. Anthony’s Italian Festival (901 North Dupont Street, Wilmington, Delaware, 302-421-2790, www. stanthonysfestival.com), which opens on June 10 and runs through June 17, features cafes, carnival rides, live Italian music and amusement games. This festival is more than just a carnival with rides and food. It also is an educational experience with a focus each year on a different cultural region in Italy. In 2018, the festival theme will be Puglia. The festival celebrates the still largely-undiscovered Puglia region, the “sun-bleached heel” of the “boot” of Italy. It is well respected as an enchanting and vibrant region. Many members of the St. Anthony’s community, and many Italian-Americans in the Delaware region, trace their origins back to Puglia. 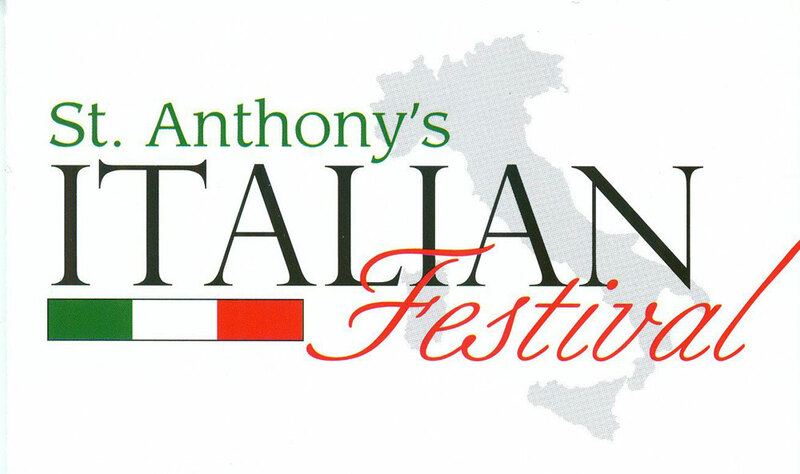 The St. Anthony’s Festival has become famous for its array of tasty Italian food. Visitors will be able to enjoy such taste treats as spezzato, pizza, sausage and peppers, panzarotti, porkette, clams and spaghetti, pasta fagioli, pizza frita, meatball sandwiches, mozzarella sticks, calamari rings, spaghetti dinners and fresh espresso and cappuccino. There will be live Italian music every night. The festival also presents a varied schedule of live entertainment nightly. There is a $5 admission fee for all visitors ages 14-61. Seniors (age 61 and older) and children (age 13 and under who are accompanied by parent or guardian 18 or older) will be admitted free. Another food-based festival this weekend is the annual Strawberry Festival and Flea Market. 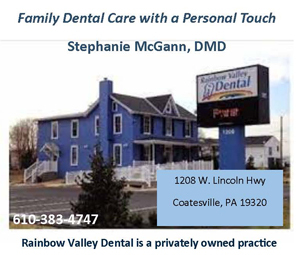 The event will be presented by the Historical Society of the Phoenixville Area (204 Church Street, Phoenixville, 610-935-7646, hspa-pa.org) on June 9. Festival hours are listed as 10 a.m.-3 p.m. but activity will really get underway with the opening of the flea market at 8 a.m. It will be open until 1 p.m. The actual Strawberry Festival starts at 11 a.m. and runs through 3 p.m. It features strawberries, ice cream and cake. There will be children’s entertainment along with performances by magician Ran’d Shine. Also featured will be live music provided by Ted the Fiddler. 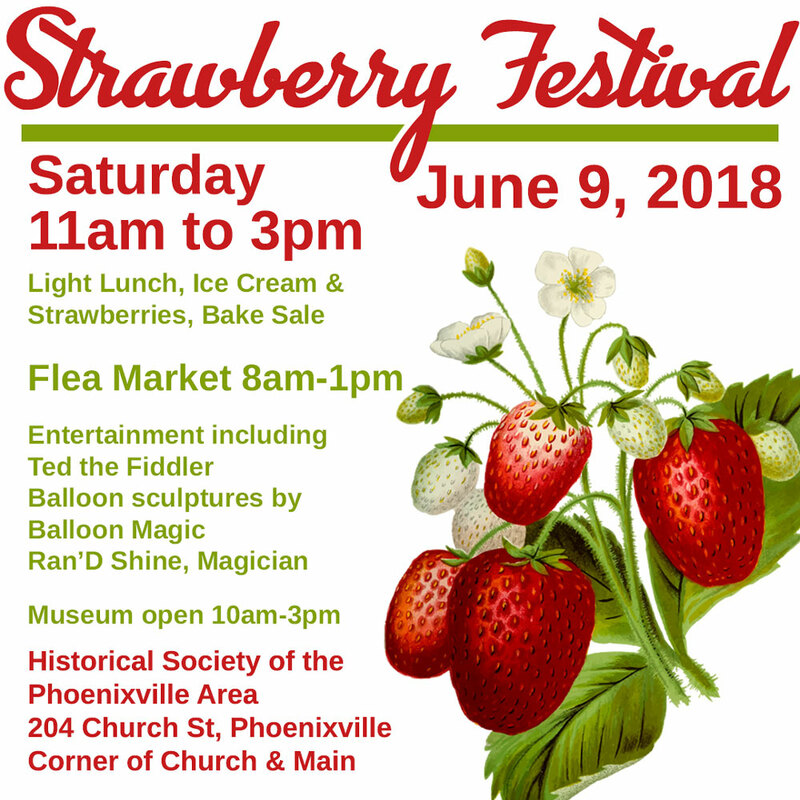 As an added attraction, the Historical Society of the Phoenixville Area Museum will be open from 10 a.m.-2 p.m.
With warmer weather having finally arrived, the entertainment calendar begins to feature a larger number of outdoor music events. Chaddsford Winery (Route 1, Chadds Ford, 610-388-6221, www.chaddsford.com) will present “Wine Slushie Weekend” on June 9 and 10. The event’s live music schedule will feature Sam Capolongo from 11:30 a.m.-2:30 p.m.on June 9 and The Little Red Rooster Blues Band from 12:30-4:30 p.m. on June 10. The special weekend activity, which will run from 11 a.m.-7 p.m. on Saturday and 11 a.m.-6 p.m. on Sunday, will showcase a variety of “Chaddsford Wine Slushies” — four unique frozen libations made with delicious seasonal ingredients and Chaddsford wines. Featured Slushie flavors are “Pain Killer Piña Colada” (made with Spring Wine), “Pink Lemonade” (made with Sunset Blush), “Black Raspberry” (made with Chaddsford Red) and “Peach Bellini” (made with Chaddsford White). The “Wine Slushie Weekend” will have Ka’Chi Truck as its featured food truck both days. This event is rain or shine. Slushies will be available while supplies last. Admission for children is free if accompanied by an adult (21 or over). Chaddsford Winery reserves the right to refuse entry to any individual not accompanied by an adult. Seating at the Winery is available on a first-come, first-served basis. Guests are encouraged to bring blankets or folding chairs to guarantee comfortable seating on the grounds. No outside alcohol permitted. On June 9, blues music will be featured in the Lehigh Valley when Allentown hosts its “11th Annual Blues, Brews & Barbecue” (http://www.downtownallentown.com) on five outdoor stages in the downtown area of the city. 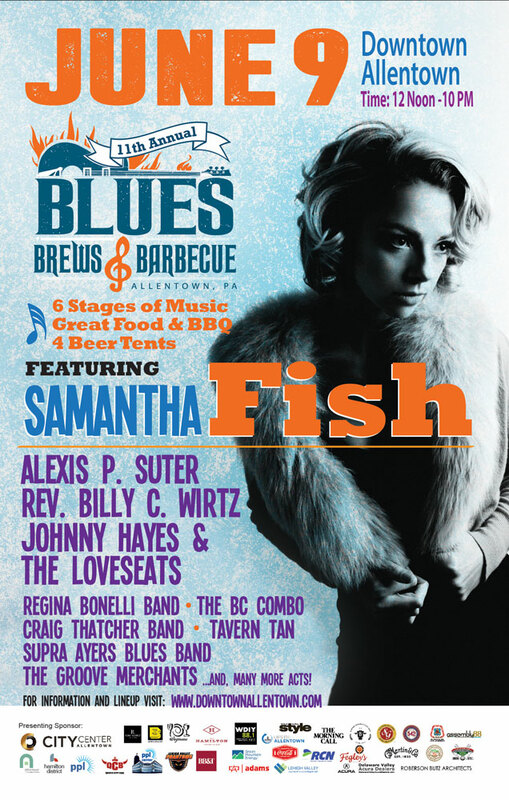 The headliner at this year’s festival is Samantha Fish. Fish is a veteran musician, a talented singer and an adept songwriter. But, more than anything, she’s a guitarist with roots in rock, blues and Americana. “Belle of the West” was recorded in late 2015 and produced by the North Mississippi AllStars’ Luther Dickinson at his father Jim Dickinson’s famed Zebra Ranch studio in Coldwater, Mississippi – an area located just south of Memphis. It was the same combination used for Fish’s “Wild Heart” album that came out in 2015. The free event, which will run from noon-10 p.m., features Nick Andrew Staver, Tavern Tan, Alexis P Suter Band, SheilaMark Duo, Mississippi Pig Farmers, The Kim Brewer Band, The BC Combo, and Craig Thatcher Band. Also slated to perform are Bobby Sole, Supra Ayers Blues Band, Doug Ashby, AC Steel & the Galvanizers, The Groove Merchants, Steve Johnson Band, Rev. Billy C. Wirtz, Regina Bonelli Band and Johnny Hayes & the Loveseats. “Blues, Brews & Barbecue” also features delicious barbecue from all around the United States along with a wide selection of craft and domestic brews. 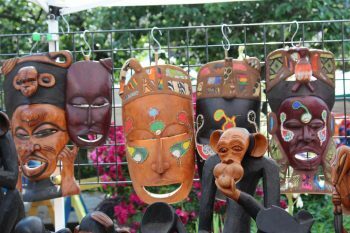 Additionally, a number of local artisans will be selling their wares at the one-day festival. 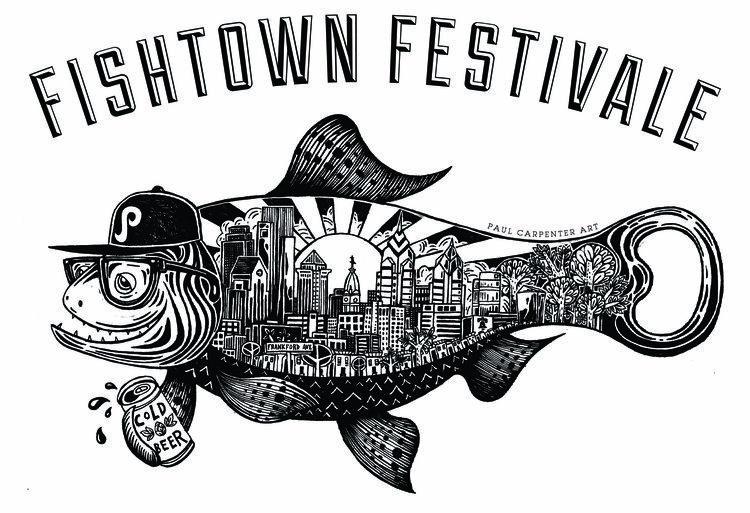 On June 9, Fishtown FestivAle (http://phillybeerweek.org/events/fishtown-festivale, 215-739-9684) takes over Frankford Avenue in the Fishtown section of North Philadelphia with craft beer, DJs, food, games, vendors and more. The festival, which is one of the final events of Philly Loves Beer (formerly known as Philly Beer Week) will be serving up pulled pork sandwiches, soft shell crab sandwiches, potato salad, and corn on the cob under the tent at Johnny Brenda’s (1201 North Frankford Avenue). And, the volunteer staff will be pouring craft beers, special punch and classic ales to help participants deal with the summer heat. On June 10, the 43rd Annual Odunde Festival (215-732-8510, http://odundefestival.org) will be held from 10 a.m.-8 p.m. in the vicinity of 23rd and South streets in downtown Philadelphia. Odunde attracts close to 500,000 people each year, covers 12 city blocks and is one of the largest African-American street festivals in the country. The festival’s authentic African marketplace features vendors from around the world selling merchandise from many African nations, the Caribbean and Brazil. The free event, whose concept originates from the Yoruba people of Nigeria, celebrates the coming of another year. One of the highlights each year is a colorful procession from 23rd and South streets to the Schuylkill River where an offering of fruit and flowers is made to Oshun, the Yoruba goddess of the river. There will be continuous live music throughout the day with KRS One as the headline act. Some of the other featured performers will be Kulu Mele, Legendary Whodini, Farafinakan, Odyssey Band, The Unit Band, The Royal Mix, and Troupe DaDa. There will also be traditional African dance performances by the Universal African Dance and Drum Ensemble. http://www.business-services.upenn.edu/arboretum/index.shtml) is hosting two special events this weekend – “Moonlight & Roses” on June 8 and “Dogs and Bark Tour” on June 9. “Moonlight & Roses,” which will run from 6-11 p.m., is the Morris Arboretum’s annual fundraising gala to support all aspects of the Arboretum’s mission. The evening begins with cocktails in our stunning Rose Garden at the peak of its bloom. Dinner follows underneath of a clear-top tent with a live band, dancing and open bar. The arboretum’s “Dogs and Barks Tour” will start at 11 a.m. on June 9 and is included with garden admission. Visitors can check out dogwoods in many shapes and forms while they celebrate 2018, the Chinese Year of the Dog among trees, shrubs, spring bloomers and summer bloomers. They can also explore the artistry of tree barks on many kinds of trees from all over the world — from beech, filbert, hickory and lacebark pine to noticeably different barks on the beloved dogwoods. Another “Dogs and Bark Tour” is scheduled for June 23. Regular Admission to Morris Arboretum is $19 for adults, $17 for seniors and $10 for youth (3-17 years). Children under 3 are admitted free. The Garden State Discovery Museum: (2040 Springdale Road, Cherry Hill, New Jersey, 856-424-1233, www.discoverymuseum.com) is presenting a special program “Calling All Super Heroes” on June 8 from 6:30-8:30 p.m. Youngsters will be able to meet and greet their favorite super friends while testing their super powers with activities inside and outside the Museum. Little Super Heroes will have the opportunity to take “super selfies,” fashion their own disguises, snack on super sweets, and much more. Tickets are $5 for adults and $30 for children. 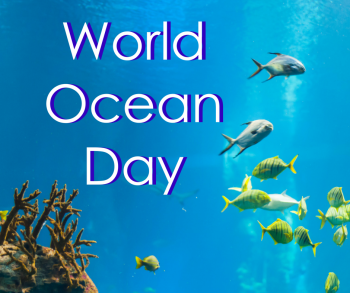 The Delaware Museum of Natural History (4840 Kennett Pike, Wilmington, 302-658-9111, http://www.delmnh.org) is celebrating “World Oceans Day’ with a variety of special events on June 9. 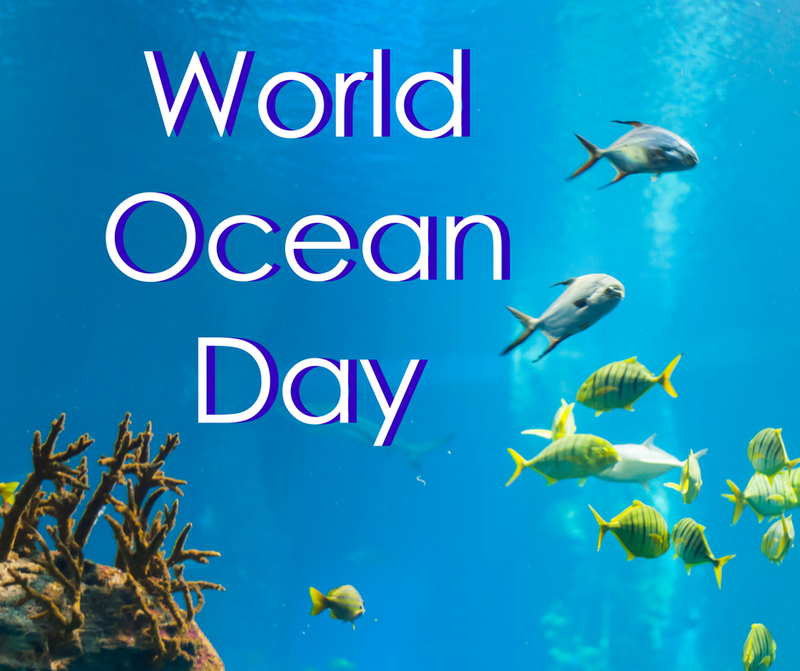 Oceans cover about 70 per cent of the earth’s surface and are the life source for many plants and animals. The popular museum, which is located on Route 52 a few miles south of the Pennsylvania-Delaware state line, will celebrate oceans with hands-on games, crafts, activities, learning stations, science experiments, story times and more. Museum admission is $9 (ages 3-59), $8 for seniors (60 and older) and $3 for toddlers (ages 1-2). Visitors will be able to learn about the plight of the world’s oceans and the need for ecological awareness. Participants in the event, which will run from 10 a.m.-1 p.m., can learn about what they can do to help the oceans, starting right here in the Delaware Valley. Activity and learning stations throughout the zoo will help you become a better ocean steward. The Brandywine Zoo will also be presenting special “Reptile Shows” from June 8-10 at 1 p.m. each day in the Otter Circle. Admission to the Brandywine Zoo is $7 for adults, $5 for seniors (62 and older) and children (ages 3-17). World Oceans Day will also be celebrated on June 9 at Bartram’s Garden (5400 Lindbergh Boulevard, Philadelphia, bartramsgarden.org). The Caribbean Community in Philadelphia in conjuction with National Caribbean American Heritage Month will host a World Oceans Day on the brinks of the Schuykill River at Bartram’s Garden. The Caribbean Sea, which is home to Fisherfolk (fishermen) who highly depend on the seas for their daily living, has become vulnerable to the deadly effects of climate change and catastrophic hurricanes. The picturesque Caribbean waters and beaches with its turquoise waters and sun-kissed white, pink sandy beaches are now endangered to the effects of climate change. On June 9 and 10, visitors to the museum will be able to celebrate all things turtle, tortoise, and terrapin and discover how this amazing order of hard-shelled survivors lived in the past and thrives in the present. From pizza-loving cartoon ninjas to real-life turtles that call the Academy home, they can learn all about these “heroes in a half shell” with special crafts, demonstrations, and touchable specimens. The new exhibit “Xtreme Bugs” features nearly 20 giant, moving, hissing, clicking insects from around the world, including an18-feet-long wiggling centipede, a five-feet-long blood-sucking bed bug, and a 12-feet-tall hissing, pink orchid mantis. On June 10, the Great Plaza at Penn’s Landing (201 South Columbus Boulevard, Philadelphia, www.delawareriverwaterfront.com) will be the site of the Gay Pride Festival 2018. The Gay Pride Festival at Penn’s Landing marks the ending point for the LGBT Pride Parade, and the beginning of six hours of entertainment. This festival is produced by Philly Pride and consists of over 80 community groups and vendors, free health screenings, live entertainment, dancing, food and adult beverages, and more. 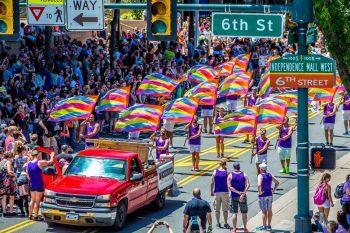 The 30th annual PrideDay LGBT Parade starts at 11:30 a.m. at 13th and Locust and weaves through Center City and Old City to Penn’s Landing. 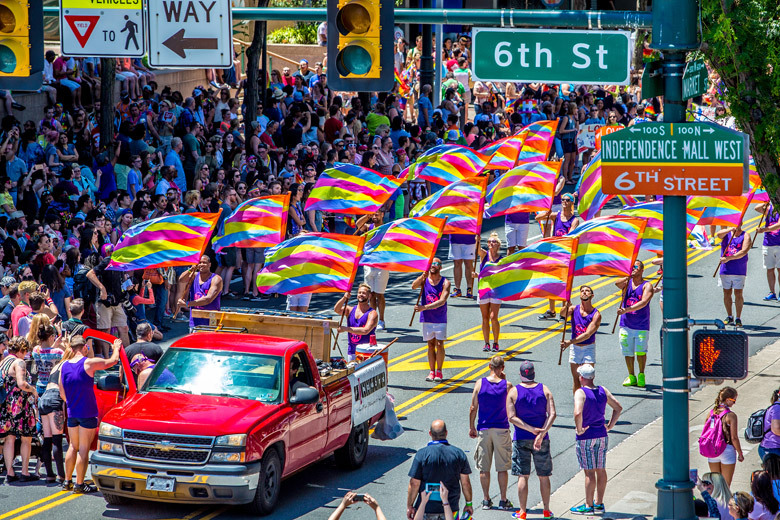 The festival at Penn’s Landing costs $15 to attend and runs noon-6 p.m.
An associated event is the Philadelphia Dyke March which will be held on June 9 from 3-6 p.m. at Louis I. Kahn Park (328 South 11th Street, Philadelphia, https://www.facebook.com/events/1795478350754427/). The Philadelphia Dyke March draws hundreds for a proud march through Center City that spotlights Philly’s lesbian community and their allies. Afterward, participants can enjoy free water ice, live music and more in Kahn Park. The Kimmel Center for the Performing Arts (www.kimmelcenter.org) is currently presenting the 2018 Philadelphia International Festival of the Arts (PIFA) at a variety of locations around Center City Philadelphia. It marks the fourth staging of the PIFA event. The 2018 festival is running now through June 10. Performances include live theater, dance, and interactive visual art installations that transform the city for a multi-arts takeover of the Kimmel Center Cultural Campus, public spaces, parks, and outdoor spaces throughout the heart of Philadelphia. At a time when we feel most divided as a nation, the Obie Award-winning creative team The New Yorker calls “New York’s best nontraditional company” gifts audiences with a common purpose through acting together. The newest experiential show from 600 HIGHWAYMEN taps into the limits of human existence. On June 9, PIFA will feature the second part of the Philadelphia premiere of “Taylor Mac: A 24-Decade History of Popular Music,” performed by Taylor Mac in association with Pomegranate Arts. “PART I (1776 – 1896)” was performed on June 2. “PART II (1896 – Present)” will be performed on June 9 at the Merriam Theater from noon-midnight. This epic 24-hour performance art concert exorcizes the social history of the United States — 240 years in the making and 24 hours in the telling. It is a spectacular pop odyssey with more than 24 musicians and 100 local performers — including burlesque performers, a choir, a marching band, and knitters. The popular PIFA Street Fair is scheduled for June 9 from 11 a.m.-7 p.m. along Broad Street south of City Hall. 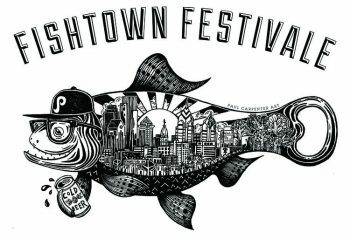 The Street Fair, a free family-friendly event, will feature seven blocks of art, food, entertainment, and vendors that will take place all day on Broad between Chestnut and South streets. The entertainment schedule includes “Olympic Dream High Dive Show,” “First Capital Drumline,” “Les Tambours” by Transe Express, “Camden Sophisticated Sisters and Distinguished Gentleman,” Temple University Marching Band, West Philly Orchestra, The Kimmel Center’s La NOCHE Band, The Ambassadors Jazztet, UDEF Tour Breakers, Spiral Q and Kulu Mele. Some of the many popular food vendors at the Street Fair will be Brulee, Turkish Grill, Caribbean Islands Cuisine, Philly Fry – Cannoli Café, Li Ping Corn Company, Roe Restaurant, Buzzetta Festival Foods, Laughing Crab Catering, Fezziwig’s, Nick’s Roast Beef, Cow and the Curd Zuzu Confectionery, Garces, Kono Pizza, Reggae Reggae Vibes, Buzzetta Festival Foods, The Spicy Belly, and Los Gallos Restaurant & Taqueria. Ticket prices vary with event – many are free. The 2018 Philadelphia VegFest (Bainbridge Green, Third and Bainbridge streets, Philadelphia, www.phillyvegfest.com) is scheduled for June 9 from 11 a.m.-4 p.m. The public is invited to celebrate and learn more about vegan and whole-food-plant-based lifestyles at the revival of VegFest. Vendors and exhibitors of vegan food, art and other goods set up shop at Bainbridge Green for this fabulous day that also features live music, speakers and cooking demonstrations. Participating purveyors at the free event include Macro Vegetarian, Baba’s Brew, Freakin’ Vegan and many more. Live music will be performed by The Sam Greenfield Vegan Jazz Trio, Caitlin Jaene, The Missing Frets and the duo of Timothy A. Quinn/Joni Magdelen.